This paper investigates the mechanical property and microstructures of vitrified-bonded Ti-coated cubic boron nitride (CBN) composites under different sintering conditions. Three-point bending tests of the sintered vitrified-bonded Ti-coated CBN composite samples were carried out, and the microstructure, phase composition, and energy spectrum of the sintered composite samples were analyzed using SEM and X-ray diffraction. The test results indicate that the mechanical properties of the vitrified-bonded Ti-coated CBN composites improve with the increased temperature, and then show a declining trend. It was found that the titanium layer has a protective effect on the CBN abrasive. During the course of sintering, as the temperature increases, titanium in the titanium-coated layer is not only present on the CBN abrasive surface but is also diffused into the glass phase. In addition, oxidation reactions occur, which become stronger with the higher sintering temperature. Thus, the sintering temperature of the vitrified-bonded Ti-coated CBN composites should not be too high. It is better to sinter them in a vacuum rather than in air. Ti-coated CBN grains are not suitable for a vitrified bond with low refractoriness. Full text (2.3MB) (free) Please log in. X. Sun, T. Yu, Z. Wang, Z. Ma, and M. Xu, “Mechanical Property and Microstructure of the Vitrified-Bonded Ti-Coated CBN Composites,” Int. J. Automation Technol., Vol.12, No.6, pp. 862-867, 2018. J. Webster and M. Tricard, “Innovations in Abrasive Products for Precision Grinding,” CIRP Annals – Manufacturing Technology, Vol.53, No.2, pp. 597-617, 2004. Y. Ichida, “Wheel Life and Cutting-Edge Wear in Mirror-Grinding Using a Coarse-Grained CBN Wheel Treated by Microdressing,” Int. J. Automation Technol., Vol.10, No.5, pp. 753-758, 2016. M. Duscha, F. Klocke, and H. Wegner, “Residual Stress Model for Speed-Stroke Grinding of Hardened Steel with CBN Grinding Wheels,” Int. J. Automation Technol., Vol.5, No.3, pp. 439-444, 2011. M. Dogra, V. S. Sharma, A. Sachdeva, N. M. Suri, and J. S. Dureja, “Tool wear, chip formation and workpiece surface issues in CBN hard turning: A review,” Int. J. of Precision Engineering & Manufacturing, Vol.11, No.2, pp. 341-358, 2010. R. M. Arunachalam, M. A. Mannan, and A. C. Spowage, “Residual stress and surface roughness when facing age hardened Inconel 718 with CBN and ceramic cutting tools,” Int. J. of Machine Tools & Manufacture, Vol.44, No.9, pp. 879-887, 2004. Z. A. Zoya and R. Krishnamurthy, “The performance of CBN tools in the machining of titanium alloys,” J. of Materials Processing Technology, Vol.100, Nos.1-3, pp. 80-86, 2000. B. Denkena, J. Köhler, and S.Woiwode, “Dressing of vitrified bonded CBN tools for continuous generating grinding,” Production Engineering, Vol.8, No.5, pp. 585-591, 2014. P. Klimczyk et al., “Al2O_3-cBN composites sintered by SPS and HPHT methods,” J. of the European Ceramic Society, Vol.36, No.7, pp. 1783-1789, 2016. M. J. Jackson, C. J. Davis, M. P. Hitchiner, and B. Mills, “High-speed grinding with CBN grinding wheels – applications and future technology,” J. of Materials Processing Technology, Vol.110, No.1, pp. 78-88, 2001. L. Cui, X. Hao, X. Hu, and A. Lu, “Effects of Y2O_3 addition on structure and properties of LZAS vitrified bond for CBN grinding tools application,” Ceramics Int., Vol.41, No.8, pp. 9916-9922, 2015. D. Herman and J. Krzos, “Influence of vitrified bond structure on radial wear of CBN grinding wheels,” J. of Materials Processing Tech., Vol.209, No.14, pp. 5377-5386, 2009. S. Kompella, K. Zhang, and R. Pakalapati, “A New CBN Crystal for Improved Grinding Performance in Vitrified Bonds,” Key Engineering Materials, Vols.389-390, pp. 211-216, 2009. S. H. Oh and B. M. So, “Internal Grinding Characteristics with Ceramic and CBN in Nitriding Treated Steel,” “Computer Applications for Modeling, Simulation, and Automobile,” Springer, pp. 287-292, 2012. 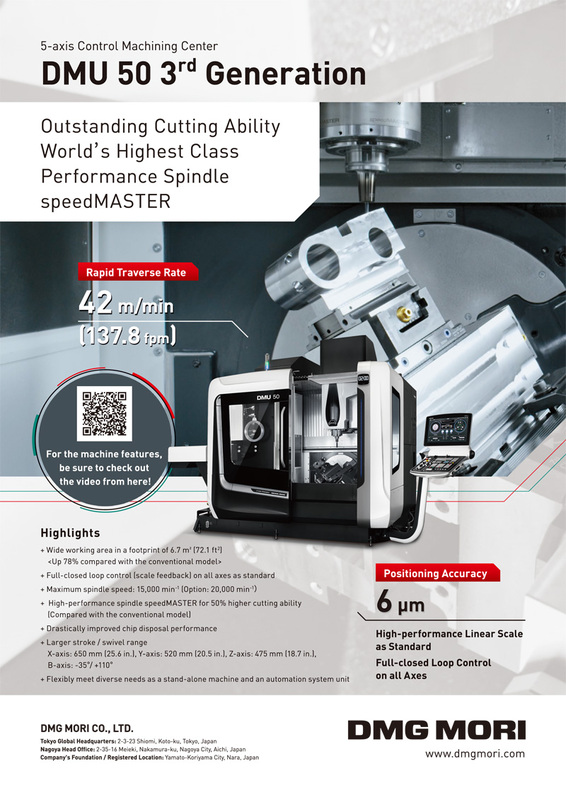 X. Li and J. Zhang, “Research on key manufacturing technologies for super-high speed vitrified bond CBN grinding wheel,” Tool Engineering, Vol.45, No.4, pp. 3-7, 2011. Z. Li, Y. Zhu, Z. Yang, and Q. Yuan, “Effect of Ti-coating on properties of CBN abrasives and vitrified bond tool,” Rare Metal Materials & Engineering, Vol.32. pp. 319-321, 2003. X. Wen, “Study on the Microstructure of Ti-Coated CBN Sinters with Ceramic Binder,” Bulletin of the Chinese Ceramic Society, Vol.13, No.3, pp. 34-38, 1994. J. Li, X. Liu, Z. Pang, and W. Wang, “Effect of Ti coating on CBN grains upon the bending strength of ultrahigh speed vitrified CBN wheel,” Diamond & Abrasives Engineering, Vol.30, No.4, pp. 77-80, 2010. Z. Guo, X. Zhang, J. Zang, and Y. Wang, “Impact of different coatings on the bending strength of vitrified bond superhard material grinding tools,” Superhard Material Engineering, Vol.17, No.1, pp. 18-21, 2005. W. Ding et al., “Solid-state interfacial reactions and compound morphology of CBN grain and surface Ti coating,” Vacuum, Vol.81, No.4, pp. 434-440, 2006. Y. Wang, J. Zang, X. Zhang, and M. Wang. “Interface bonding between Ti-coated CBN and vitrified bond,” Key Engineering Materials, Vols.259-260, pp. 14-18, 2004. Y. Wang, M. Wang, and X. Yuan. “Examination of the Properties of Ti, Mo, W, Cr or Their Alloy Clad Diamond or CBN by Vacuum Slow Evaporation,” Diamond & Abrasives Engineering, Vol.5, pp. 21-24, 1995. G. Chen, Z. Lv, J. Zhang, and Y. Zhou, “Research progress of vitrified bond of CBN grinding wheel,” Diamond & Abrasives Engineering, Issue 5, pp. 35-39, 2003.